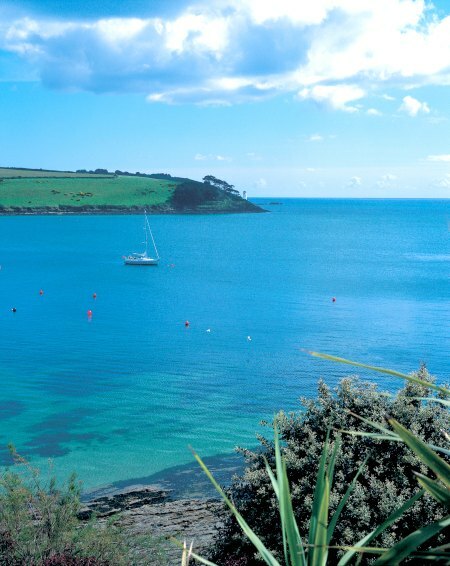 St Mawes, the Celtic holy man for whom the Cornish fishing port is named, was said to have passed many years in lone contemplation of the bay and the sea beyond—and one might envy him for spending so much time in this breathtaking spot. The beautiful port has benefited from being at the far end of the Roseland Peninsula, thus it’s far less of a tourist trap than nearby Padstow. 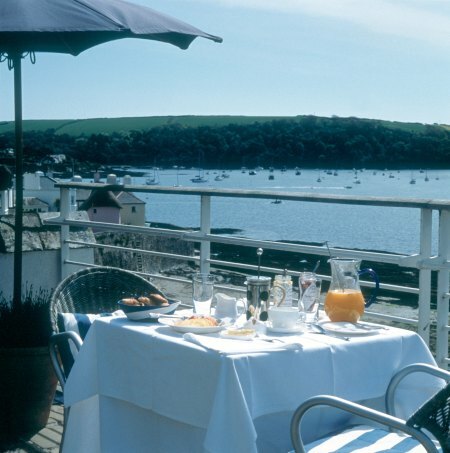 The Hotel Tresanton is perfectly situated right on the sea, with unobstructed views over the water towards the blinking lighthouse. 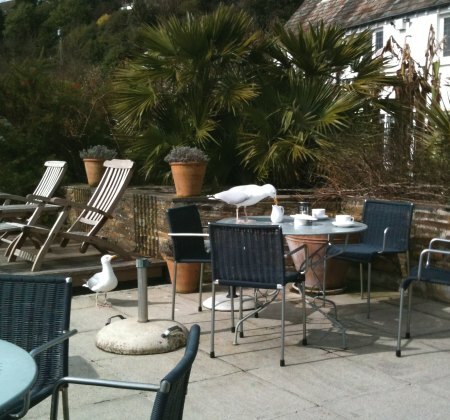 We reached this coastal paradise in a matter of hours from central London, having opted to fly from City Airport. This relatively painless process was complicated only by bad weather causing a slight delay, but City is a pleasant airport to be waiting in, with its funky modern design and surprisingly nice restaurant. Our flight with Air Southwest, which takes an hour and 45 minutes and costs £236 return, was on a tiny aeroplane, stopping briefly at Plymouth to let passengers get on and off—more air bus, really—and we then had a 45-minute transfer down winding Cornish lanes (motion-sickness passengers, beware) to the hotel. 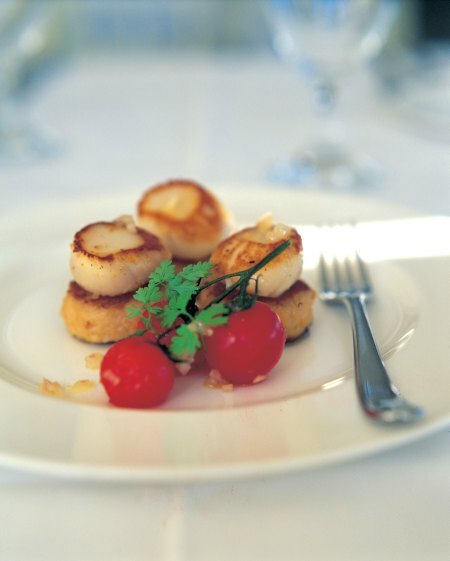 On arrival, we were whisked straight to our room, where Champagne, a sensational fresh crab salad and a gorgeous cheese board awaited us—a luxurious welcome to a hotel that seems to anticipate guests’ every possible desire, and then exceed it. 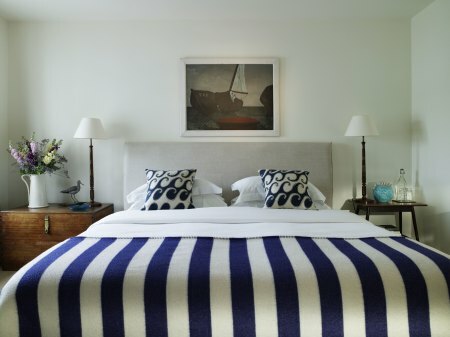 Our spacious double had a serene view over the terrace, which was lit by garden lanterns, and out to sea, and featured an eclectic but effortlessly stylish collection of furniture, from an antique chest of drawers to a funky lamp and Welsh striped blanket on the comfortable bed. The décor has been masterminded by Olga Polizzi, design director for the Rocco Forte Collection. The rooms at Tresanton aren’t exactly cheap, starting at £225 per night on weekends, but the bespoke quality is well worth the price. Mrs Polizzi scours antique shops and designer outlets for individual pieces, and every one of the 29 rooms has a different look to it, while still conforming to a coherent design vision. The walls are muted Farrow & Ball shades (we particularly liked the pale grey-green Pigeon), and there are lovely details, such as combination of tongue-and-groove bathroom fittings and mosaics (also used in Mrs Polizzi’s Brown’s Hotel). The larger suites feature inviting window seats, looking out over the sea, and studies with writing desks, and the Junior Suite has its own private terrace. There are also cleverly designed family suites (from £365 on weekends). 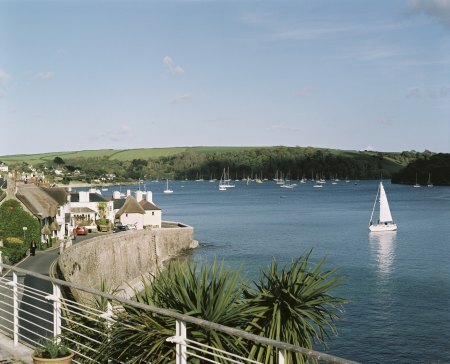 Hotel Tresanton began life in the 1940s, when yachtsman Jack Silley wanted to create somewhere for his sailing friends to stay. In the 1950s, it became a renowned hotel, visited by high-profile guests such as The Queen and Princess Margaret. 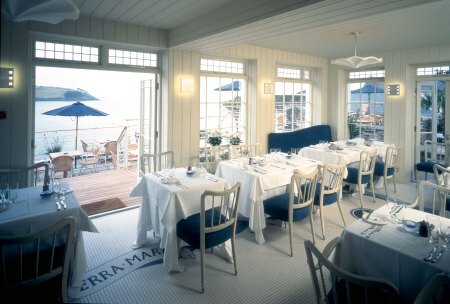 It became rundown over the years, and was revived by Mrs Polizzi, who bought it in 1997, redesigned it (including adding en-suite bathrooms to the rooms) and reopened it in June 1998. 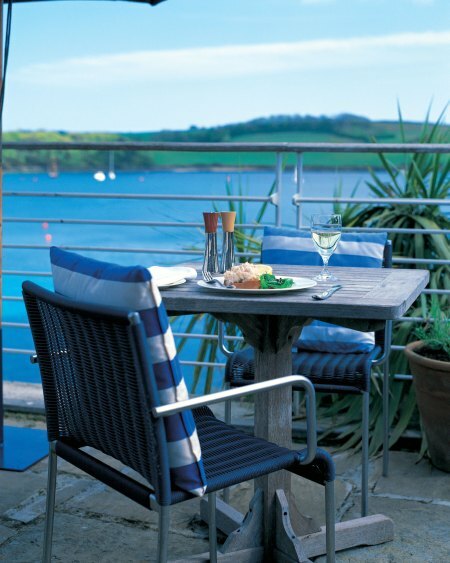 Tresanton’s success lies in it retaining its origins as a favoured spot for a yachting enthusiast and his friends, while also developing a strong business, with extremely clued-up staff and all the modern amenities, such as free wi-fi. 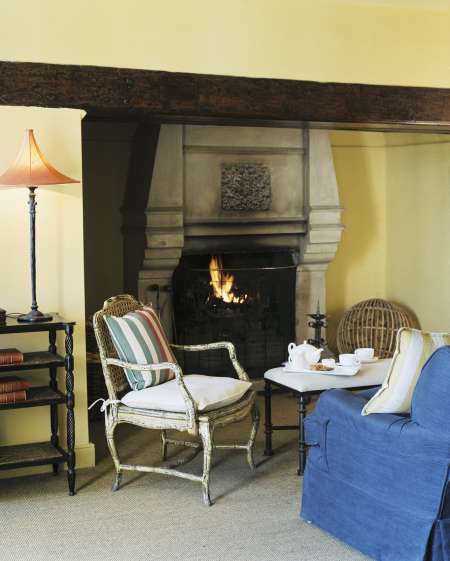 The country-house feel is evident in the cosy sitting room, complete with log fire, and the provision of Hunter wellies for guests who are off on a muddy walk, but this relaxed ambience is complemented by superb cuisine and service. We were treated to wonderful meals throughout, served in the hotel’s dining room, which opens out onto a terrace when the weather is fine. Highlights included Welsh rarebit with Cornish field mushrooms and twice-smoked salmon with scrambled eggs and toasted brioche for breakfast; a relaxed late lunch of crab sandwiches and tea in the sitting room on our first day, and perfect Sunday roast beef on our second day; tea on the terrace, accompanied by biscuits so fresh they were still hot and crumbling from the oven—and by squawking seagulls, who fancied a bite; and a perfectly pitched dinner, which combined local, seasonal ingredients with modern styling, such as a sublime scallops and red mullet starter, hake with crab cakes and broad beans and a beautifully light, fluffy blackcurrant soufflé with yoghurt sorbet. So that we didn’t come back several stone heavier from eating all those wonderful meals, we went on some walks. The locale is enjoyable to stroll through, with little art and antique shops, a chic boutique, Onda, run by Mrs Polizzi’s daughter, relatively tasteful tourist shops (we sampled ice cream from one—I can recommend the apple pie and cream and the honeycomb), and then a path leading down to the boatyards and the sea. 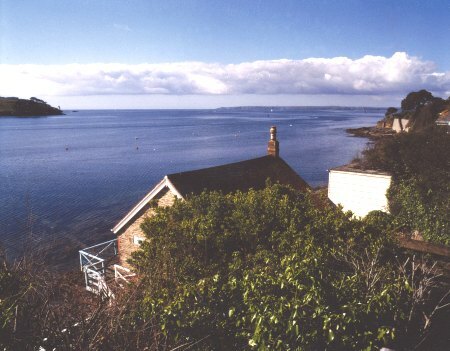 St Mawes has an idyllic, timeless feel to it-although its tranquillity might have been partly due to us visiting it out of season. We also did a longer walk, via the castle, built for Henry VIII in 1539-43 by Thomas Treffry of Fowey—supposedly defensive, following a threat from Pope Paul III, but of doubtful strategic value, and today admired more for its perfect trefoil. The public footpath led us through fields, along the coast, and up to the beautiful 14th-century church of St-Just-in-Roseland, with a graveyard almost hidden on a slope of blooming gunnera, fortune palms, magnolias and camellias—a hidden gem worth seeking out. If you want to venture further afield, garden enthusiasts have nearby Caerhays, the Eden Project, Heligan, Lamorran, Trewithen and Trelissick, among others, all benefiting from the sheltered spot’s temperate climate, which encourages an array of subtropical plants. 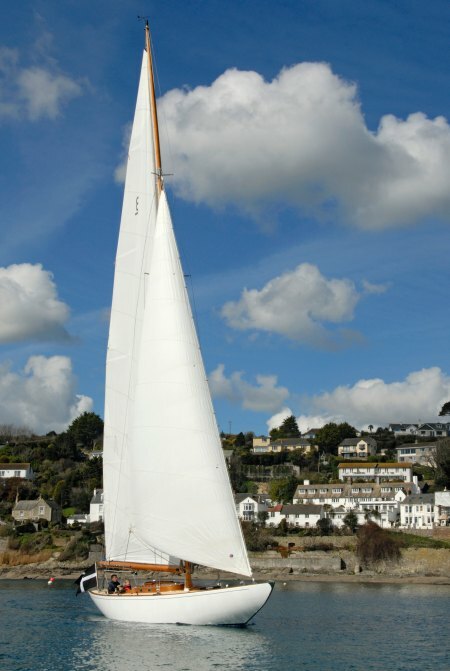 There’s also a ferry to Falmouth, which boasts art and antiques shops and Rick Stein‘s new fish and chip shop, and boaties have access to Tresanton’s 48ft racing yacht Pinuccia, which is £220 for an exclusive two-hour sail. For culture vultures, Tate St Ives is about an hour away. 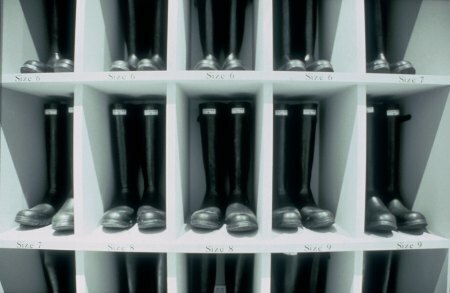 A new initiative is the Tresanton shooting weekend, planned for December 3–5, which offers pheasant shooting on the Caerhays Estate, a private viewing of Caerhays Castle and all the amenities of the hotel, for £520 for single occupancy, £650 for two sharing, or £660pp for a private group of 10, plus £6,600 per shoot day (£33 per bird, and there will be 200 birds available). Contact the hotel on 01326 270055 to book a place. Other off-season activities at Tresanton include movie nights in its cinema, music festivals, bridge weekends with the Financial Times‘ Paul Mendelson, and spa treatments—I had a thorough and totally blissful Lomi Lomi Hawaiian massage (£100 for one and a half hours) from freelance therapist Alexandra Holbrooke. The hotel is also available for private parties and weddings (it has a civil ceremony licence)—and I can’t think of a more magical spot for a special treat.